Bill Cosby was born in Philadelphia in 1934. He has three brothers but suffered the loss of the youngest during his childhood. The family can be considered as belonging to the middle-class, the father being a cook in the U.S Navy and the mother being a maid. Cosby’s school career was not really brilliant: he even called himself a ‘class clown’. He spent more time making people laugh than working. At that time he was already fond of sports; his membership in sports clubs required a certain discipline and attendance. He also discovered a talent for telling stories and imagining things. His mother always encouraged him to develop this. The first time he had the opportunity of showing his newly-found capacity in public was in front of the class during a lesson in the fourth grade. His story with sound imitations didn’t really go down that well as the teacher never asked him to do it again. After school, Cosby had to do little jobs to help his family financially: he polished shoes and sold products in the street for instance. The last year at high school was very difficult so that Bill decided to join the Navy instead of repeating it. He finally passed the final year via a correspondence course. After having spent some years in the Navy, he enrolled at Temple University to become a sports teacher. He stopped his studies once more to start his career as a comedian. He performed in various nightclubs before appearing in the Gaslight Cafe where he met Carl Reiner. This meeting marked the beginning of his fame. In 1964 he married Camille Hanks, a student and they subsequently had five children together. They are still together and are currently living in New England. Cosby managed to graduate in the 1970s obtaining a Masters degree in Education. Bill Cosby is a “multifunction man”. People often know him as a comedian and actor, but he also proved to be a television producer, an activist and an author as well. Thanks to Carl Reiner who believed in him, his career took off. He appeared on the NBC program Tonight Show (and later became one of the regular guest hosts). His humour was inspired from recollections of his own childhood, unlike many other comedians of that time who used more controversial matters to make people laugh. In 1965, he acted in a series as the first black star of a dramatic television series. The series was called I Spy and was inspired by the James Bond films. This series was a huge success and thanks to this, Cosby was honoured with three Emmy Awards (television production awards). After three seasons though, the series ended and Bill returned to live performances. He released albums recorded during his stand-up comedy performances and even tried singing. His first hit single was called “Li’l Ole Man”. Even if he tried in music, most of his recordings were of his stand-up comedy work (no fewer than 40 albums). In the early 1970s, he starred in another series, The Bill Cosby Show, where he played a physical education teacher. 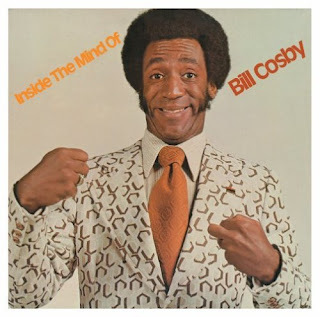 After having received his MA, he appeared in The New Bill Cosby Show, which had poor ratings. He also played in comedy films against the violent “blaxploitation” films of that time. The Cosby Show was definitely his greatest television success. This began in 1984 and dominated Thursday evenings on NBC until 1992. The sitcom was both humorous and family-oriented. It focused on the everyday adventures of an upper-middle-class black family. Every aspect of the series was under Cosby’s control. The series revived a television genre, namely the situation comedy. The series was so popular that it received several awards such as Emmy awards, Golden Globe Awards and People’s Choice Awards. During the 1990s, Cosby mostly appeared in films. In 2001, he published a new book (he has written 11 books so far) and signed a deal with 20th Century Fox to develop a movie centered on the popular Fat Albert character from his 1970s series. Having his doctorate in education, he now often gives speeches in churches dealing with the fact that it is important for African American families to educate their children on the different aspects of American culture and not only set priorities on sports and fashion.